picture is credited to whoever owns it. back to the IIUM. 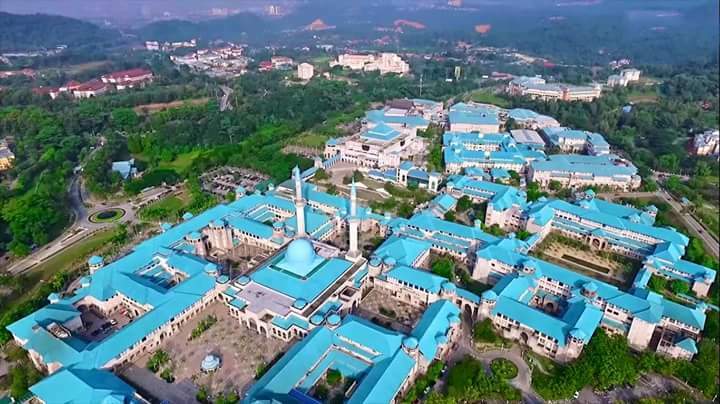 International Islamic University Malaysia. yes, i pursued my bachelor degree at this beautiful place. i still remember the day i checked my upu result. i was with puteri and we were heading to sunway pyramid. i was nervous. after sent my details via text message, i received this code of my status. i was like, hey, in this crucial time, you shouldn’t be sending me code. i had no smart phone during that year, 2011, we used keypad but Alhamdulillah internet was already available. when i looked at my phone, IIUM? i didn’t applied neither iium nor bachelor of information technology. i was scared, i was jahil during that time, so stupid that i actually afraid that if i went there, do i have to wear abaya or wide hijab or socks. stupid huh! first day was fun. i met new friends, roommate who at first didn’t want to talk to me (but we love each other now), we had no food to eat since most of cafes yet to be opened due to semester break. for the first time, i spoke in english to a nigerian lady in case she knew any cafes available. first semester was tough, i needed to take full semester of english class. just english! my english was embarrassing and now less embarassing. those who are pursuing english literatue would probably don’t even want to read my first sentence however i am still learning to improve. Alhamdulillah, i passed my english test at the end of first semester, my friends did too, so we managed to enter our kulliyyah for real. we learnt about programming, Islamic views in every aspects, accounting, and so and so. i met great friends this semester, different studies and even though we rarely contact each other now but friendship stays, right? second semester began. this semester was a nightmare in term of my academic journey. it is possible to learn programming but as for one who didn’t any knowledge about that, it was nightmare. i hated every classes and calculus was just my nap time. plus, i yet to find interest to this course. all in all, ups and downs, happy and sad moments, i got it through and managed to finish with acceptably satisfied. i would like to tell you about my final year project, lots of interesting events happen. i will write about it one day. iium was my second home. i miss my friends, we used to have midnight pillow talk, stay up to finish assignments, skipped classes. i miss iium environment, even though we did face some political or administration issues (most places face these), it is still the second most comfortable place for me. i miss my room, oh heaven, i love my bed there. haha it was not fancy, but i loved it and i still love it. my mom used to say whenever it was weekend and i was rushing to go back to iium, she said, “you really can’t wait huh! !” with annoyed voice. sorry mom, i enjoyed some “me” time. i miss lectures, practical is boring, i can’t ask for answers, hahaha. if i can, i really want to spend at least a week there. like i used to. but there is no if, right?